Event Types - Party Hats for Corporate Events, Festivals, Etc. We can work with any event type, theme, size or location and still be flexible enough to customize every detail to fit your needs. 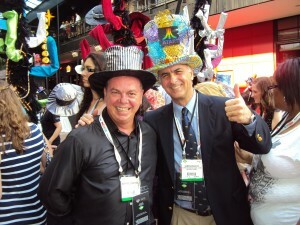 We make sure we understand your needs and ideas so we can customize the Party Hats experience for you. Everything from set-up and teardown to the timetable for the event is carefully discussed and confirmed before we arrive. We work closely with you or your event planner to make sure our hats and decorations are customized to fit your event and décor. We can even brand our products with your logo or colors. We have been a part of the most fabulous parties and have lots of ideas for what works, so ask us if you need ideas for your celebration. 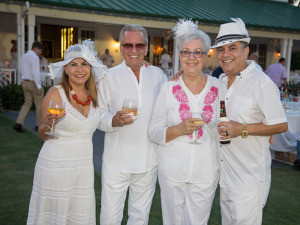 A Party Hats event is both entertainment and a hands-on creative experience. It’s perfect for all types of corporate events because it appeals to people from every industry and at every level: from the new intern to the CEO. Party Hats understands that being a part of a social event is personal. We want to give you and your guests a special experience while leaving them with a fun memento of the celebration. Party Hats’ festival program is a way to serve large crowds of people at your festival while staying in your budget. 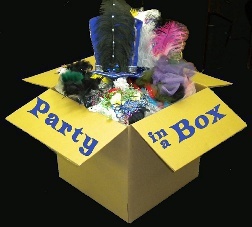 Just like our other Party Hats events, your guests create and take home their very own Party Hat. 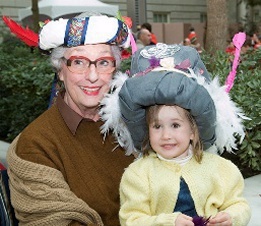 We bring all the supplies to make Party Hats on-site with the help of your volunteers. Would you like to have a do-it-yourself Party Hats event? We can box up our creative activity and send you everything you need. This is the perfect option for smaller events.